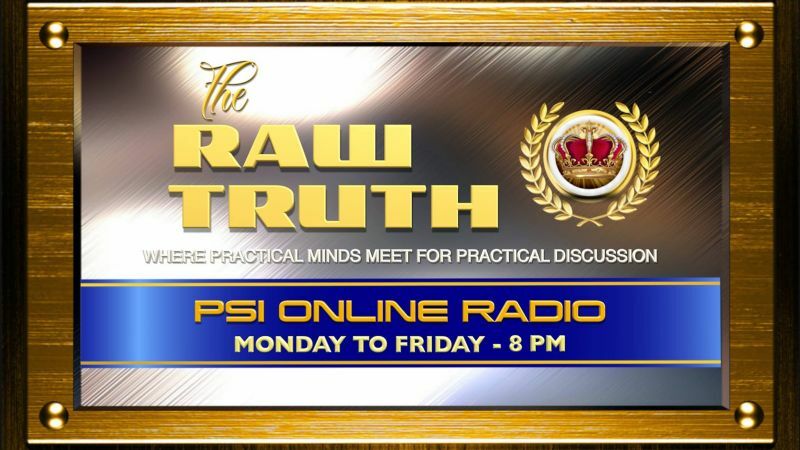 In a January 1, 2019, interview with host Kenneth G. Gladstone via his radio show 'The Raw Truth' on PSI Online Radio, Ms Vanterpool opened up to the listening audience about some of her experiences gained, including what implications the UK visit will have in relation to what can be implemented in the Virgin Islands (VI). “The system of policing… it is commonly reported and it has become a nuisance across social media where you see police abusing people left, right and centre, especially along racial lines, was any of this brought to the fore during your visit in England,” Mr Gladstone questioned. According to Ms Vanterpool, within the UK, there are advisory groups introduced to deal with matters of equality and diversity, “it also deals with… some cases of police brutality,” she said. 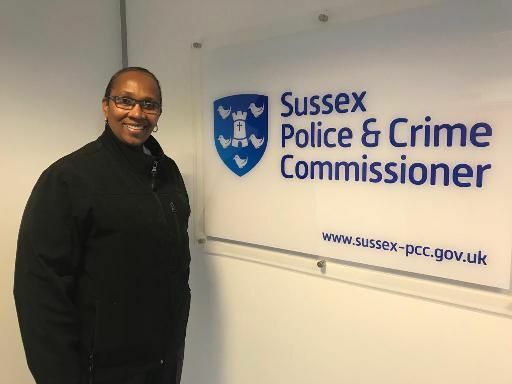 “Within that group, it's mostly people from the public that has the scoop… and they attend meetings by Chief Superintendents and Superintendents and when they see these sort of cases… they will tell us… outline to us where we went wrong, they did not appreciate it,” she said. The Superintendent was attached mainly to Sussex Police Headquarters but carried out stints at the Central Hove as well as the Hastings, Brighton, Sussex and Gatwick-Sussex Police Stations in the UK. 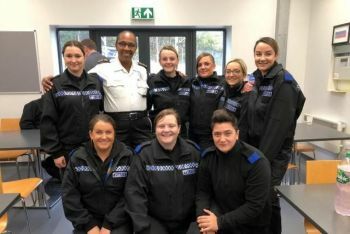 She was also trained to deal with issues such as public order, terrorism, sexual exploitation, and providing general public protection. According to Ms Vanterpool, in order to effectively tackle local police brutality, it is essential for the public to work along with the force. She says in the UK, local groups often participate with reporting cases of brutality. “I was really taken back with that group, and that is one of the things I would like to see implemented amongst us,” she said. “It is not for us [police] to get upset, it is for us to listen to what they are saying and for us to correct what they are saying to us,” Superintendent Vanterpool uttered. Total waste of time. She just like a poster board, always on display, but you can’t get nothing out of her. This born here mentally to position is what killing this place. A waste of time to know a waste of time. Save the oxygen you ingrate. @Jacperlance, what is killing this place is self hatred and selfishness. Locals hate to see other locals progress. We pretend that we do but do everything to undermine each other’s success. We behave just like Slaves on massa’s Plantation. House Slaves, yard Slaves and field Slaves and none like one another. Massa love it. It has been almost 300 years and nothing changed and may never change. @Jacperlance, slavery is over so give it a rest nah mon. Everyone associated with slavery, ie, plantation owners and slaves have long passed on and pushing up daisies. Emanicipation occured on 01 August 1834 some 185 years ago. It is approx 185 years, not 300 years. Facts matter. The descendants of Slaves have made significant progress since 1834. Barack Obama, a black man, was the 44th president of the US, the most powerful country in the world. Again, give it a rest nah mon. Why beat a dead horse, mule, donkey.........etc. Supt. Vanterpool, great interview on PSI on line radio. Stay strong and focus on improving policing in the VI, developing a positive relationship between the RVIPF and the community. Continue leading by personal example; don’t be dismayed or distracted. La Familia. Unc bigging up niecy. Nonetheless, she is handling herself well so you are not all wet about singing her praises. @@E. Leonard, what wrong with an uncle singing the praises of a niece? Nada. Should not family support family, especially if the family is doing positive things? If the family member was a thug and other family member was enabling bad behaviour, that is something else. Supt Vanterpool, great job so iggy the haters. If God is wid yu no matter who hate you. Be strong and steadfast.